I have been all about using my crock pot lately, and today I am sharing a recipe you won’t want to miss! 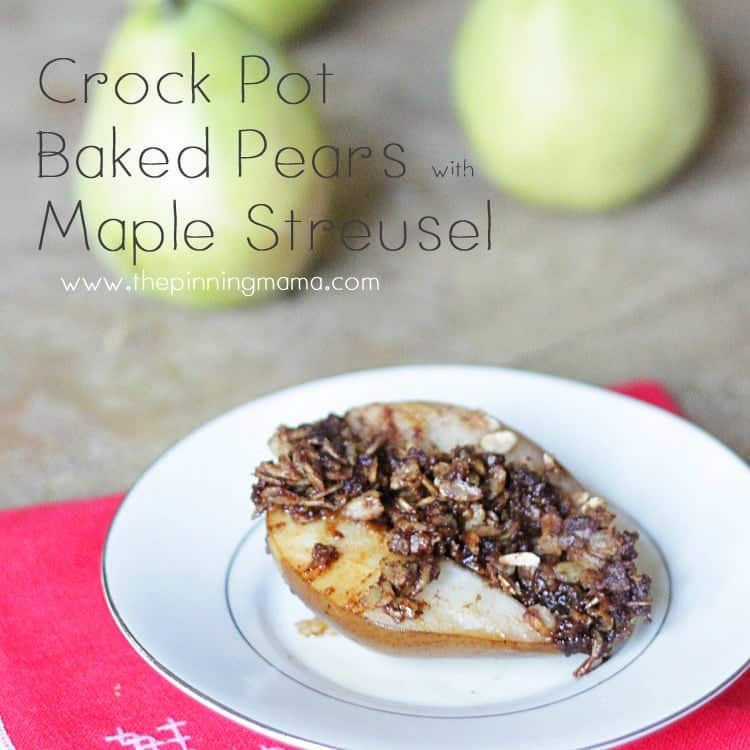 Baked Pears with Maple Streusel, all cooked right in your slow cooker! 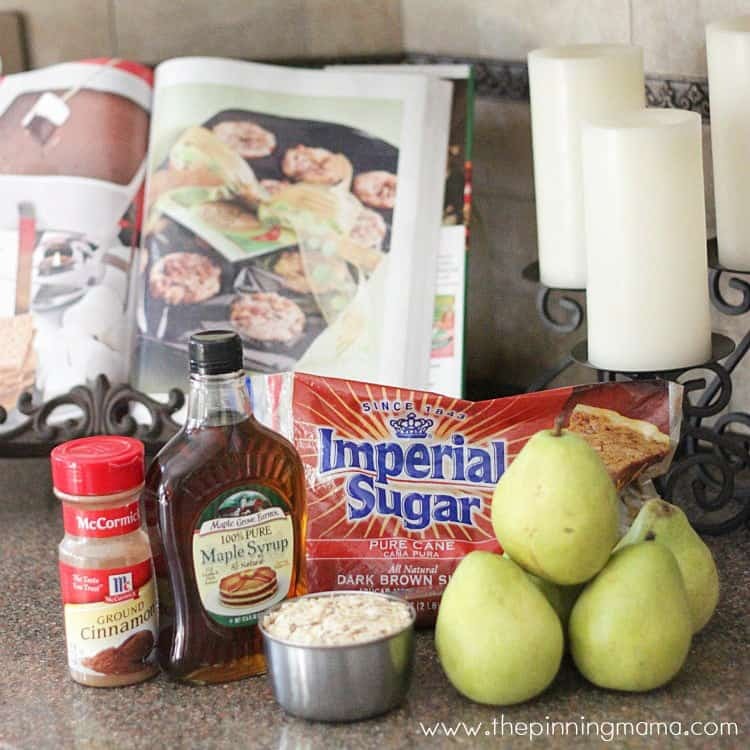 It is a light dessert that is easy to prepare and PERFECT for fall! Next mix the oatmeal, brown sugar, cinnamon, and maple together in a medium bowl. Layer the streusel on top of the apples to cover the top. Bake on High for 2 hours or low for 4 hours. That is all there is to it!! 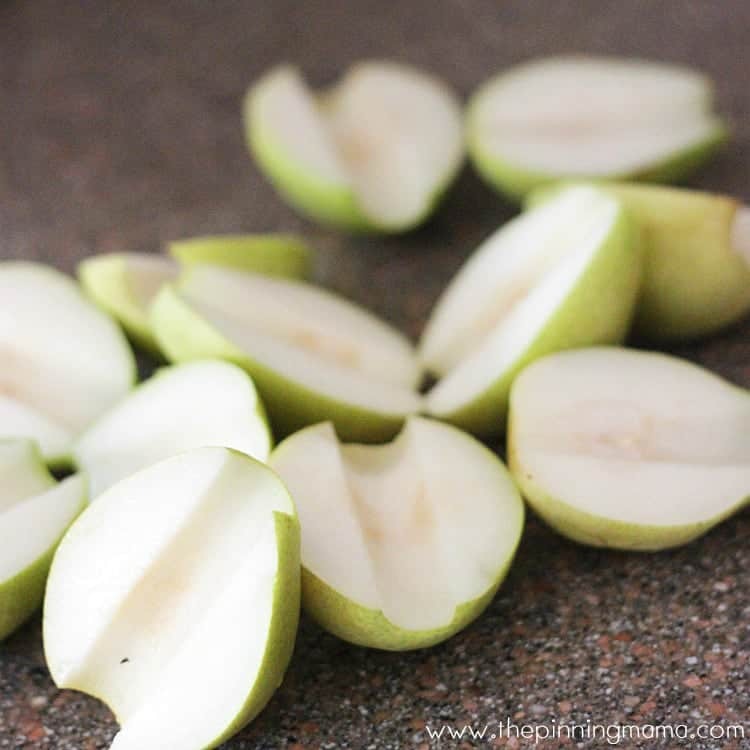 A super simple and healthy dessert the whole family will love! If you like this recipe make sure to follow us on Facebook to keep up with everything we are doing or see all of our recipes here. 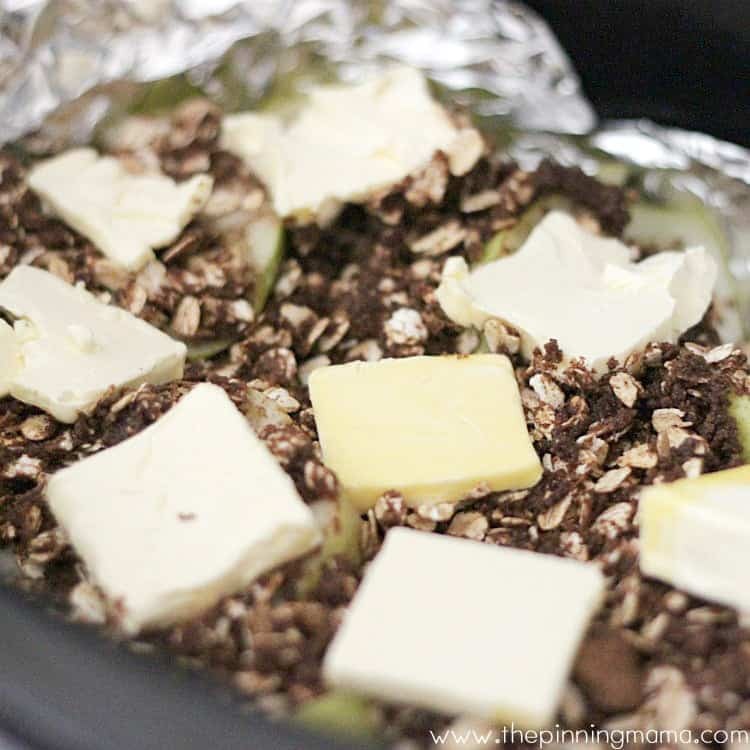 Layer the streusel on top of the apples to cover the top then sprinkle the top with pats of butter. I am linking up as a part of the Lady Behind the Curtain Dessert Challenge! Sheryl challenges us each month to make a dessert using two ingredients. This week was maple and pear. You can see more yummy inspiration from other bloggers below! YUM! My husband and I took cooking lessons (great for him, I think I failed) and we made poached pears, which I still dream about! These look similar so I think I’ll give them a shot and totally impress him! That is such a sweet story Kim! These were pretty fabulous and I love that I can feel pretty guilt free about eating them!! Yum! This looks amazing, and man do I love to use my slow cooker! I love making desserts in the crock pot! Thanks for sharing this one! HUGS! Thanks Cheryl! I had a lot of fun thinking this up because I need more desserts in the crock pot! So easy and I love dessert! I love letting the crock pot do all the work. Your looks wonderful. I know right?! Crock pot recipes are the best! Thanks for stopping by Marlene! Thanks Cindy! I love using my crock pot for everything! I needed a new dessert so this was perfect!